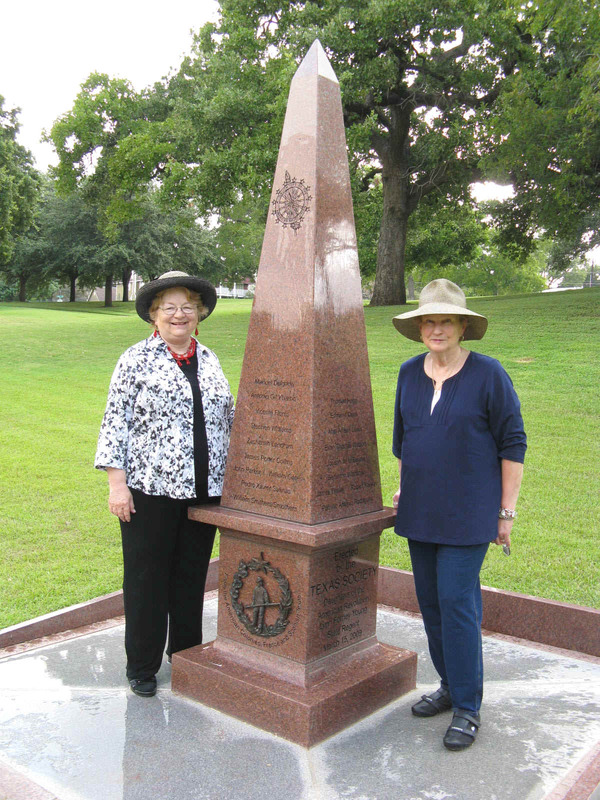 The TXDAR Patriot Monument was dedicated on March 15, 2009, at the Texas State Cemetery in Austin, with over 600 in attendance. 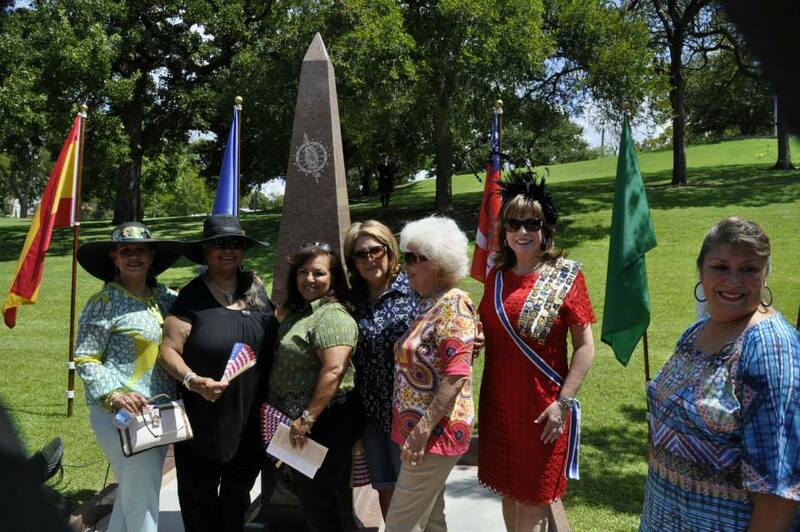 The monument is an obelisk with the names of American Revolution patriots who were buried in Texas. 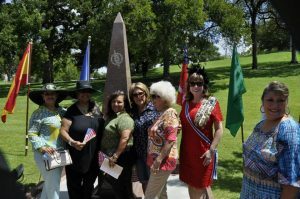 The Texas Society wished not only to honor the patriots but also to increase public appreciation of the contributions of Texans in our struggle for American independence. Texas DAR members have spent almost a decade working to identifying these long-forgotten patriots. When the monument was dedicated in 2009 thirty-two names were inscribed on the cenotaph. 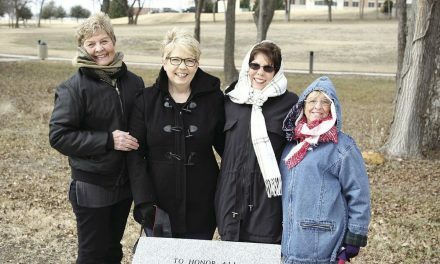 Eight more patriots were found for the re-dedication in 2014, bringing the number of names etched into the monument to 40. More than 100 descendants attended the re-dedication ceremony. During the next three years, five more patriots were found and approved by the Historian General’s Office for the re-dedication held in September 2017, bringing the new total to forty-five. The patriots came from many backgrounds to Texas, but all contributed to the American Revolution. Eleven were Spanish Americans, ranchers and soldiers who donated cattle or assisted in drives of longhorn cattle to feed the troops of General Bernardo de Galvez, who were fighting to protect the Mississippi River from British troops. The other 34 patriots were from the states where the war had wasted the land and destroyed homes. They were traveling to Texas for free land, to join family or for another chance to fight for freedom.